Handy little markers to have around! 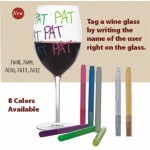 Mark your glass at parties, write a gift message directly on wi.. 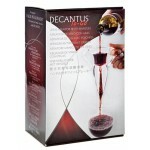 The DECANTUS™ utilizes the Bernoulli effect to quickly and effectively aerate your wine. Experience .. 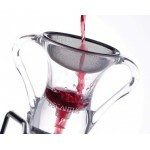 The Decantus™ Aero Wine Aerating Pourer utilizes the Bernoulli affect where the reduced pressur..
2 ¾" Stainless Steel, Fine Mesh Sediment Screen. 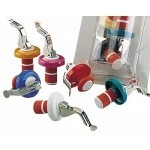 Can be used with the Decantus Wine Aerat..
Universal Bottle Stoppers come in assorted colors. 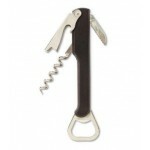 Always handy to have around for re-sealing opened..
Waiter Corkscrew with knife and bottle opener. 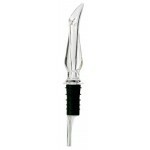 Waiter's corkscrews are the preferred opener ..
Twin Blade Cork Drawer. 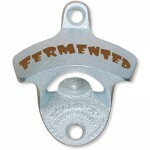 Two prongs slip between cork and inside bottle neck, twisting out and ..
Make perfect Black and Tans and other layered beer drinks with this essential bar tool. ..
Do you love bikes? Do you love beer? 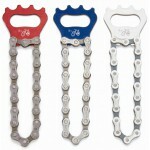 Then this is the bottle opener for you! These bottl..
Do you love bikes? Do you love beer? 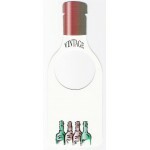 Then this is the bottle opener for you! 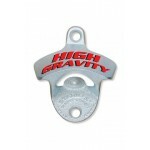 These bottle openers ar..
"High Gravity" Wall Mount Bottle Opener ..
"Home Brewed" Wall Mount Bottle Opener. 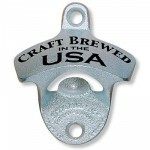 ..
"Craft Brewed in the USA" Wall Mount Bottle Opener ..
"Fermented" Wall Mount Bottle Opener. .. 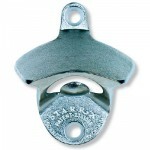 Regular Stainless Steel STARR 'X' Brand Wall Mount Bottle Opener. 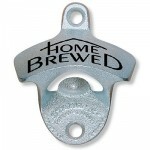 Comes with two stainless stee..
Powder Coated Black Wall Mount Bottle Opener. STARR "X" brand. 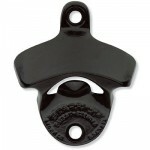 ..
Wall Mounted Bottle Cap Catchers are the perfect companion for Wall Mounted Bottle Openers. 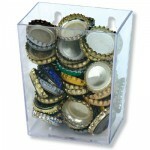 &nb..
Clear Plastic Wall Mounted Bottle Cap Catcher. 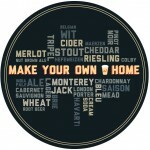 Wall Mounted Bottle Cap Catchers are the perf..
Bumper Sticker prominently displaying The Home Brewery Logo. 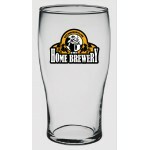 Great for cars, brewing equipment..
16 oz Classic Pint Glass with The Home Brewery Color Logo. CHEERS! 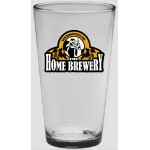 ..
20 oz Pub Glass with The Home Brewery Color Logo. CHEERS! 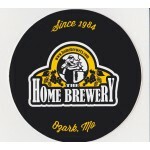 ..
Paperboard Coaster with The Home Brewery Logo. 2- sided design. .. 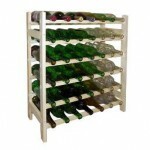 Solid wood wine rack, made of natural pine and poplar. 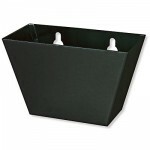 The racks are free standing and will fit stan..
Great for organizing your wine rack or your wine cellar, easily locate wines without disturbing bott.. 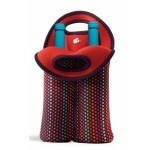 Double Bottle Wine Tote. 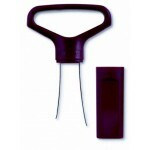 These totes insulate, are easy to carry, and provide no-clink safety for yo.. 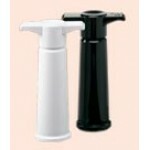 Vacuum pump extracts air from open bottles of wine and reseals them with a special stopper. Includes.. 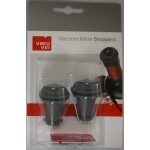 Replacement stoppers for the Vacu Vin Wine Saver - 2 per package .. 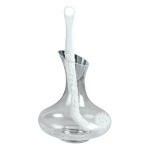 Designed to reach into the contours of a decanter, this long brush features soft foam bristles that ..